In the narrow lanes of Varanasi, India you can find a number of yogurt makers working in small shops filled with smoke and caldrons of boiling milk. This video is a multimedia piece about these yogurt makers. Photographed in March, 2017 on a Leica M9 and a Leica M7 with Fuji Acros and Kodak Tri-X film. Edited in Final Cut Pro X. 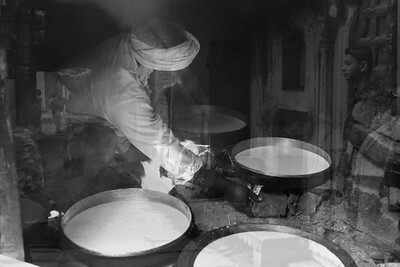 This video is a multimedia piece about Yogurt Makers of Varanasi, India. Photographed in March, 2017 on a Leica M9 and a Leica M7 with Fuji Acros and Kodak Tri-X film. Edited in Final Cut Pro X.